What happens when Saga of Blood closes? All servers will go down for extended downtime on the morning (EST) of February 19th, 2019. During this time, Saga of Blood will be merged into Fury. Do I get to keep my Saga character? Yes! Your Saga character will transfer to Fury - just make sure you don’t leave anything in your mail or tradepost! These items will be lost to the ether during the merge. Only your current, active Saga of Blood character will transfer, and all rewards you receive after the merge will be based on that character. Deleted characters will not count. Does my Saga character have to go to Fury? Yes, as a PvP server, all characters on Saga of Blood are being moved to Fury during the merge. You will need to use the Character Transfer service from your account page to make any changes. Character Transfers are currently only 600 Funcom Points! Do I keep the catch-up XP buff from Saga of Blood? The buff is exclusive to the server, not your character. When your Saga character is moved to Fury, they will not receive that bonus. What about my character’s name? Older Character Creation Date - The older character keeps name. I still keep the Saga Quest rewards on my Saga character, right? Yes, your Saga character keeps everything they’ve already earned. The item claims are an additional reward for playing on Saga of Blood. Will I be able to complete the Saga Quest after the merge? 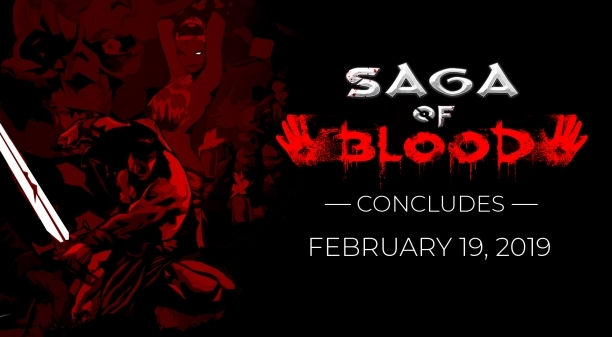 The Saga Quest will become unavailable after Saga of Blood closes. Battlekeeps will not transfer to Fury, but you can contact Customer Service to get your materials back. My guild has the same name as one on Fury. How does that work? 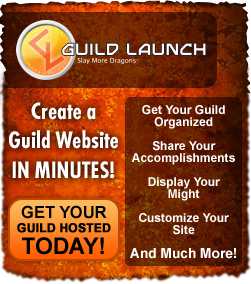 Guild names on Saga of Blood that conflict with guilds on Fury at the time of the transfer will receive a legacy tag appended to their name. What happens to my Saga character slot? If your Saga character is at least PVP Level 1 by the time Saga of Blood closes, you keep the free extra character slot. This means you won’t need to do anything extra after the merge. I didn’t get to PvP Level 1 before the merge. What happens then? If your Saga character is below PvP Level 1, your character is still transferred to Fury, but you do not get an extra character slot. You’ll need to make sure you have enough character slots on your account to be able to unlock the character. Do I get anything for having a Saga character below PvP Level 1, then? You do! Even if you haven’t done any of the Saga quests, if you have a character on Saga of Blood, you get to claim the Cloak of Selkhet cloak for one character on the account. This vanity cloak was awarded to the Saga of Blood community for killing 1,500,000 players as a server. Speaking of which, I’m one of the winners of the end-of-server tournament. What happens then? Fame and glory! If you were one of the winners of the Saga of Blood class dueling tournament, your character name and appearance will be posted on the website and forums for all to honor. You’ll also keep your special cloak and title for that character. That should cover most of the topics you’ve asked about. If there’s anything we missed or anything you have further questions about, head over to the Official Forums and ask there.